Coolest temperatures in eight months coming to South Florida. 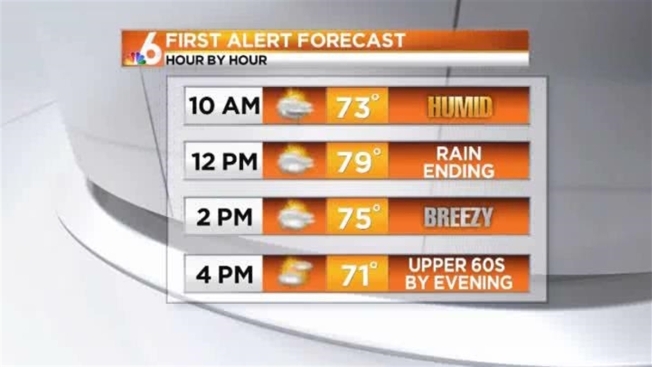 Early morning showers were expected to taper off Wednesday as a big cold front was racing toward South Florida. Temperatures will reach the upper 70s briefly Wednesday before dropping into the 60s late in the afternoon. Overnight lows will plunge into the 50s this evening, the coolest temperatures in 8 months in South Florida. Temperatures will rebound nicely Thanksgiving Day with the numbers pushing back into the 70s. The warming trend will keep going, along with dry conditions, right into the weekend.